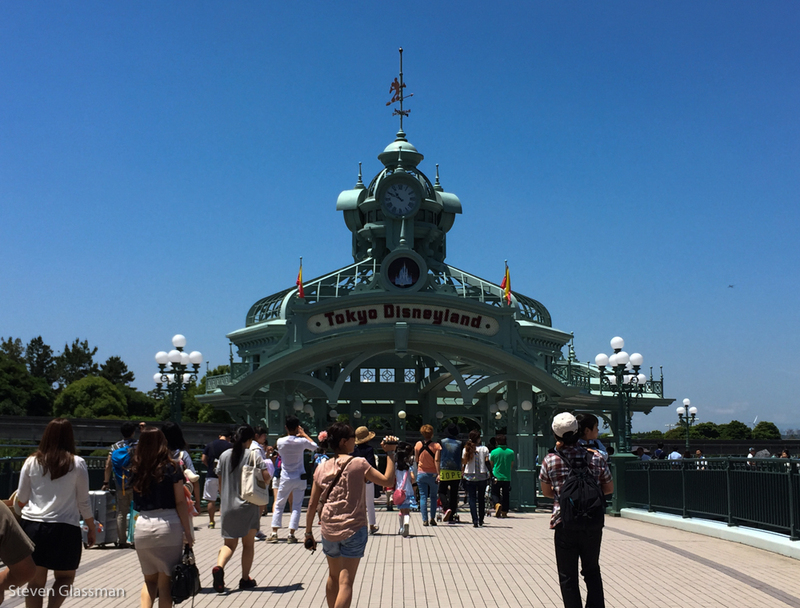 Tokyo Disneyland – Sunshine. Whimsy. Tacos. 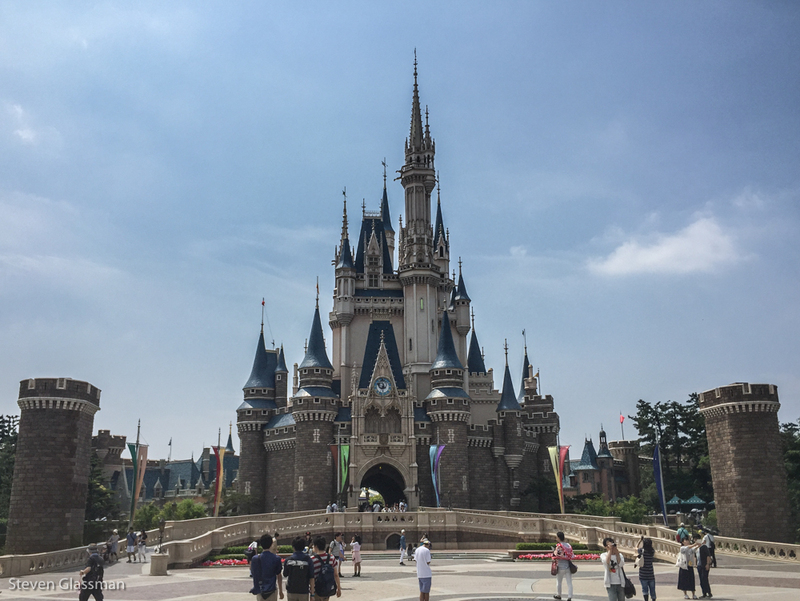 In my third weekend in Japan, I went to Tokyo Disneyland. 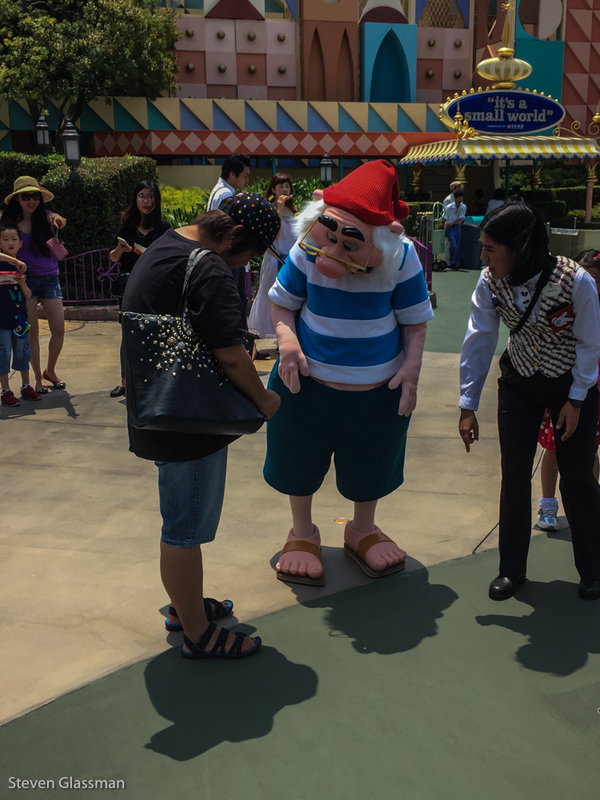 This was my first visit to a Disney park outside of the United States, despite having been a stones throw from Hong Kong Disney and Disneyland Paris at other times in my travels. 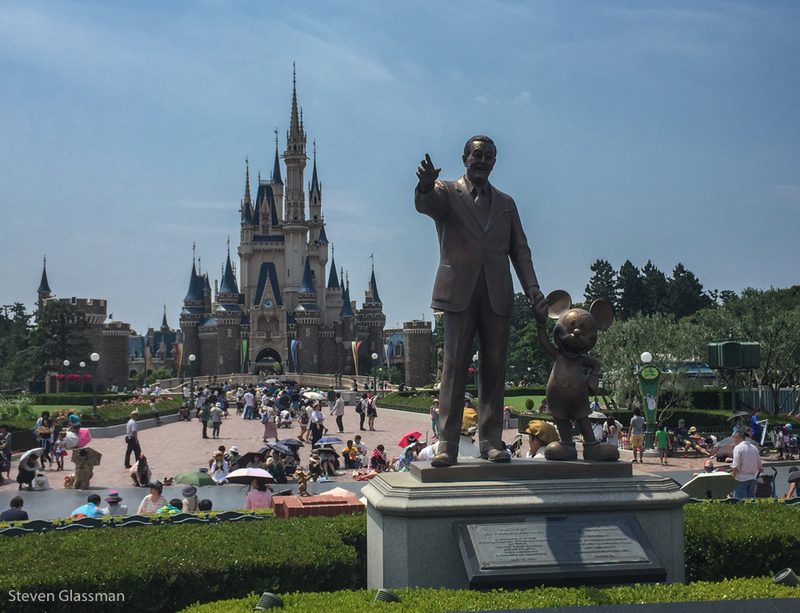 Tokyo Disneyland had more than 17 million visitors in 2013, making it the world’s second-most visited theme park behind the Magic Kingdom in Florida. 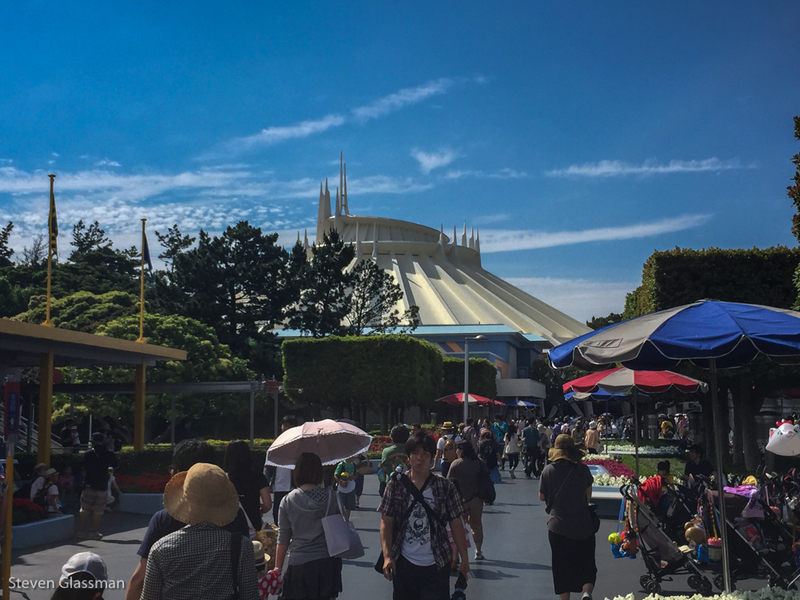 It’s also worth noting that the Tokyo Disney parks are the only ones in the world that are not operated solely by Disney. 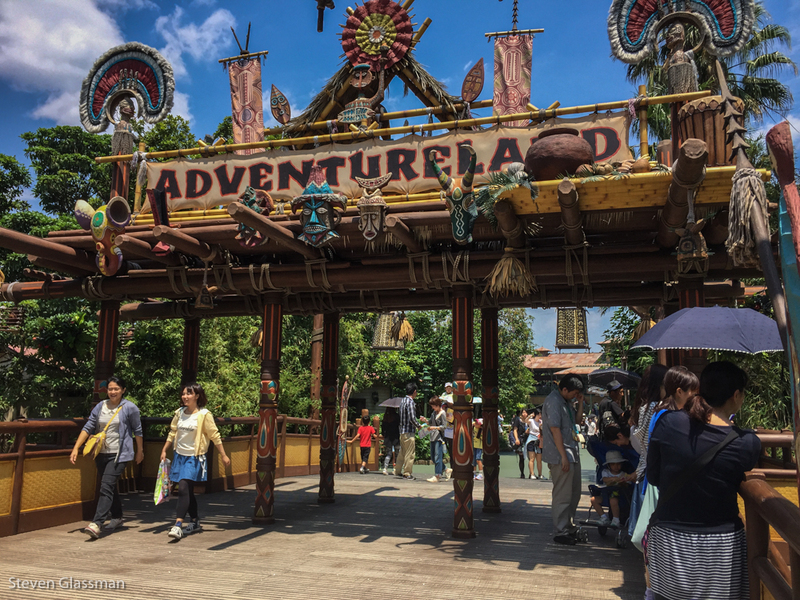 They’re owned and operated by the Oriental Land Company, who licenses the Disney theme and branding from the Walt Disney Company. 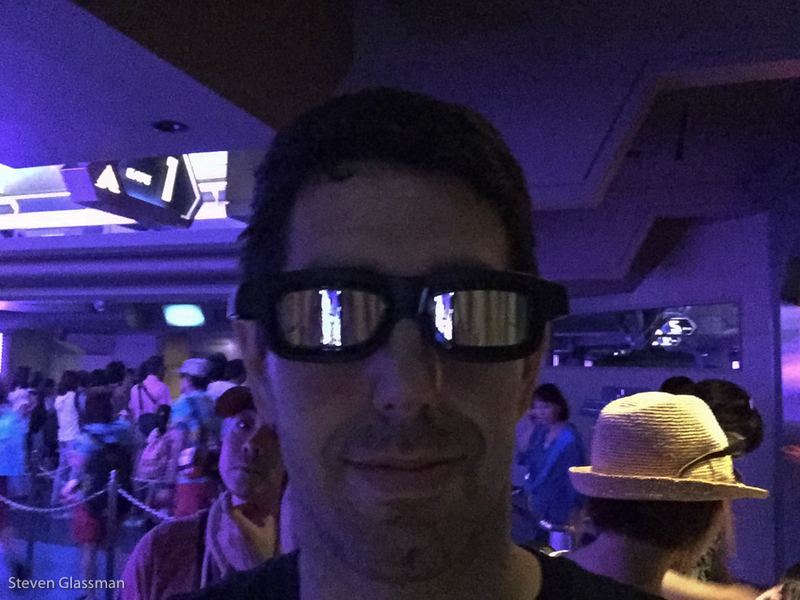 You can’t tell the difference in person, though- the Disney experience is still the same. Despite it being June, they were celebrating Easter. 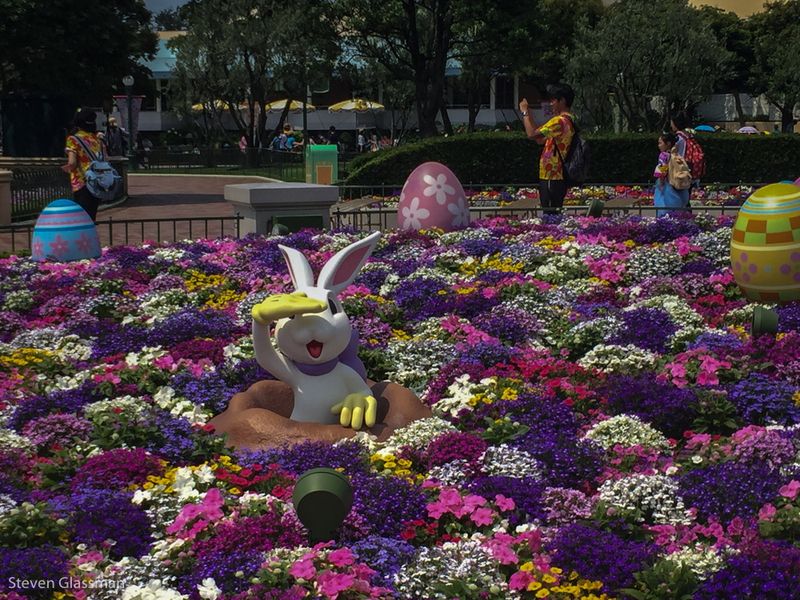 I’m still not sure why, but it did mean there were lots of adorable rabbit figures in the parks. 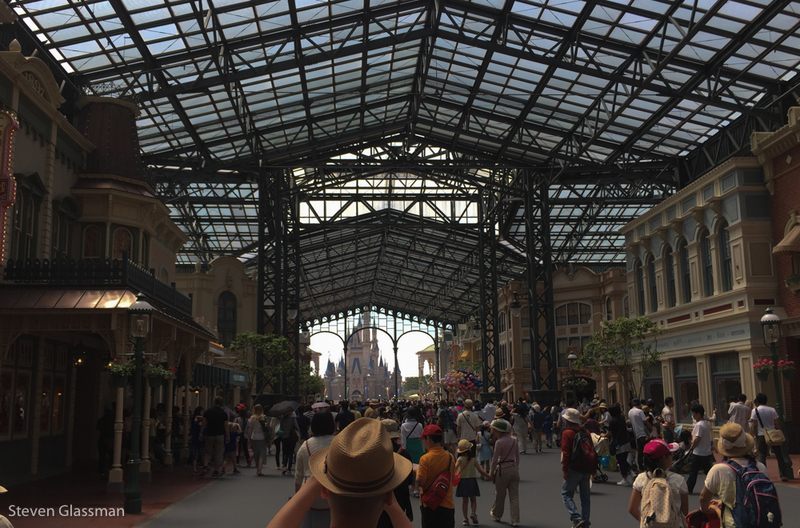 Tokyo Disneyland’s Main Street USA is quite a bit wider than the Orlando version, and it’s covered from the very frequent Tokyo rain. This part isn’t all that different than it is in Orlando, except there’s a lot more space in front of and around the castle. This castle is a familiar sight to so many people. 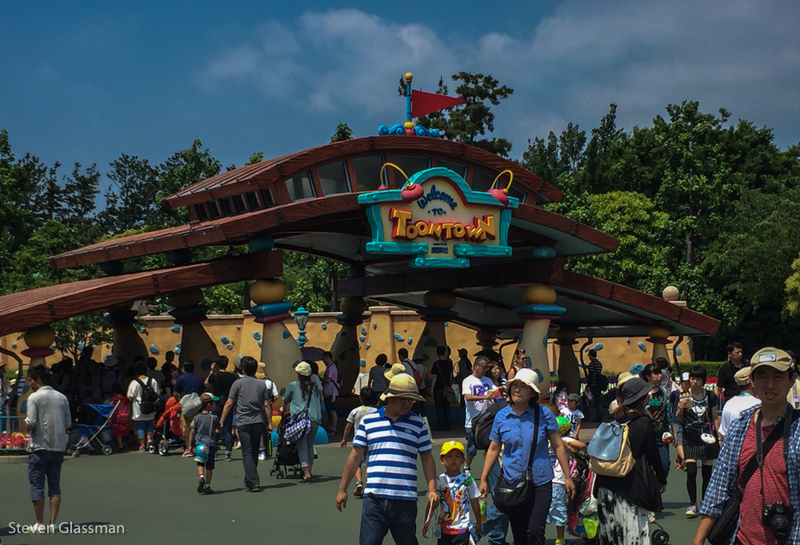 One of the sections of Tokyo Disneyland is Toontown. There’s a Roger Rabbit ride that I wanted to see, but I ran out of time. 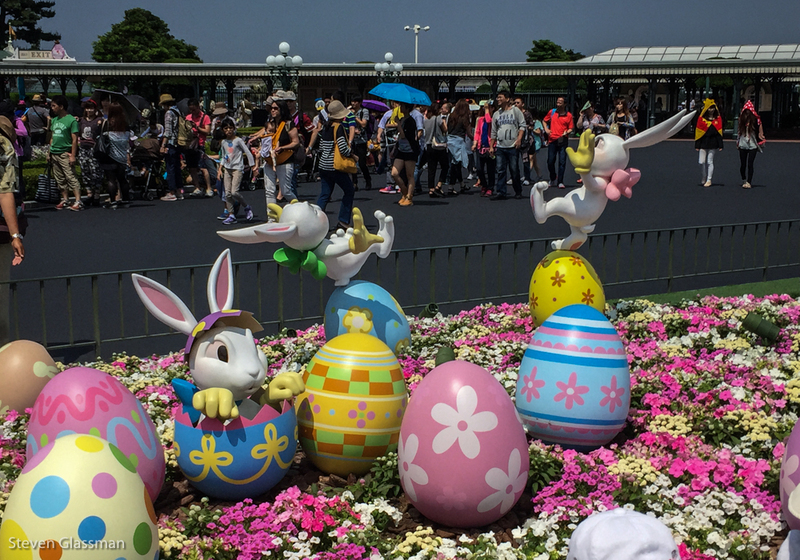 One side effect of the Easter celebration is that various Disney characters were set throughout the park in egg form. 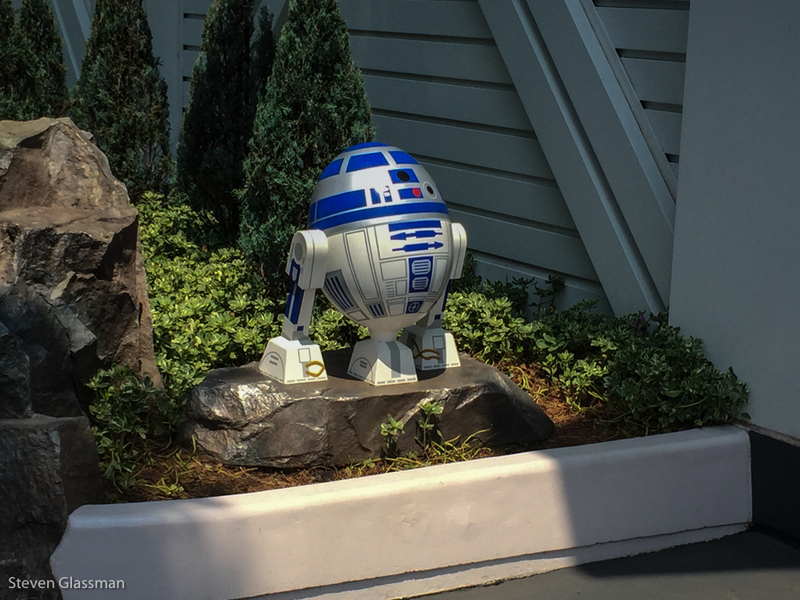 Egg-shaped R2-D2 is sitting in front of Star Tours. The Star Tours ride line area here has no Imperial Walker, no trees, no cover at all from the sun until you get into the lobby. Luckily, the wait times for this one never get too long because there’s an enormous capacity inside. The ride isn’t much different, except that all the C3P0 and all the other characters are speaking Japanese. I have some recordings from my phone, but they’re not clear enough to be blog-worthy. 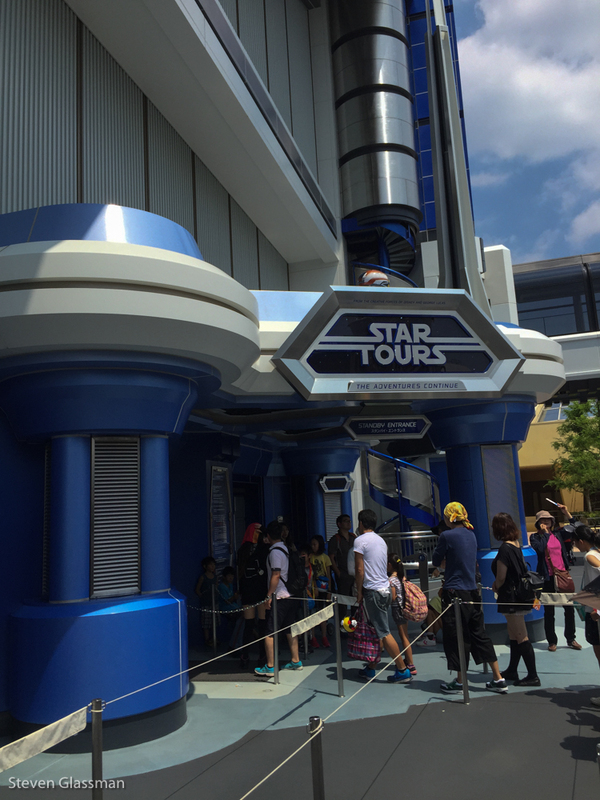 In Tokyo Disneyland, Star Tours is right next to Space Mountain. There’s a certain logic to that, when you don’t have an equivalent of Hollywood Studios. 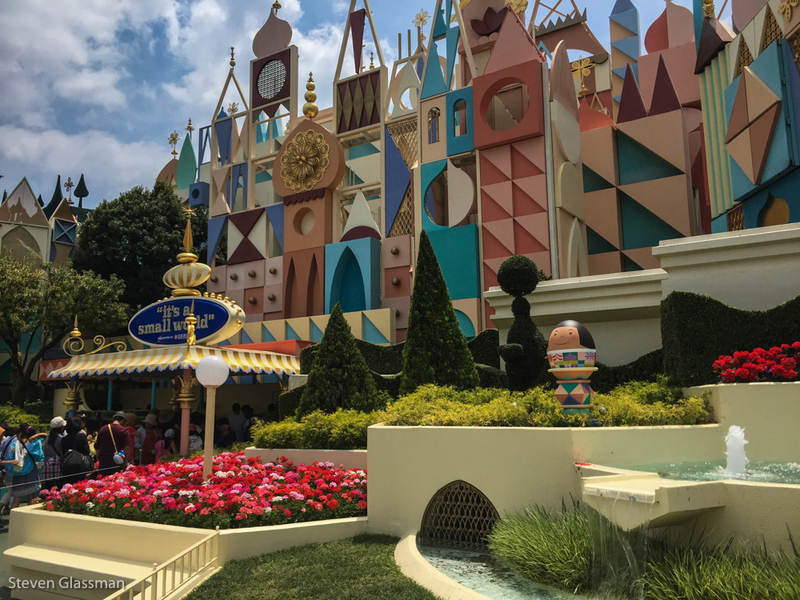 It’s A Small World really wasn’t any different than the Florida version. 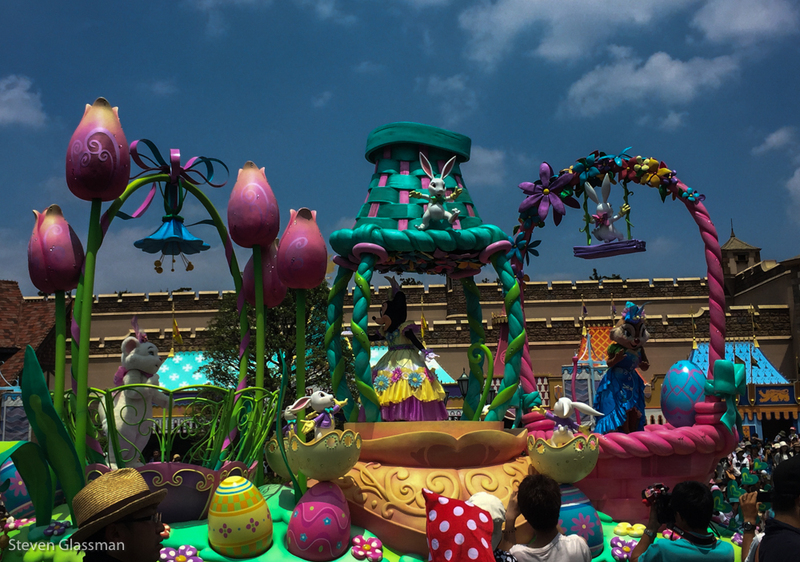 The egg version of a Small World character in front was part of the Easter celebrations. I found the Easter parade. Seriously. It was kind of hard to miss. The springtime themed Minnie and Clarice Chipmunk outfits are super nice, though. 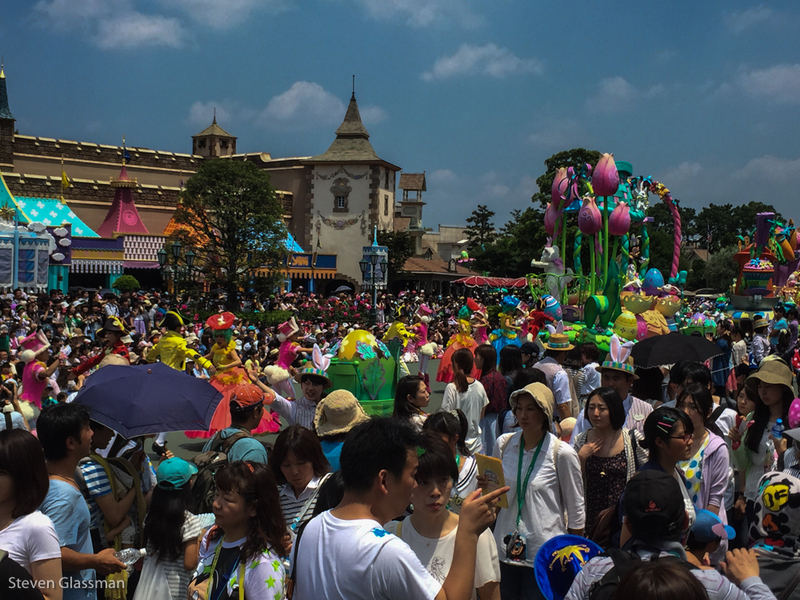 In Japan, the costumed characters tend to wander out among the crowds more, instead of staying in one place and spontaneously generating lines of children. 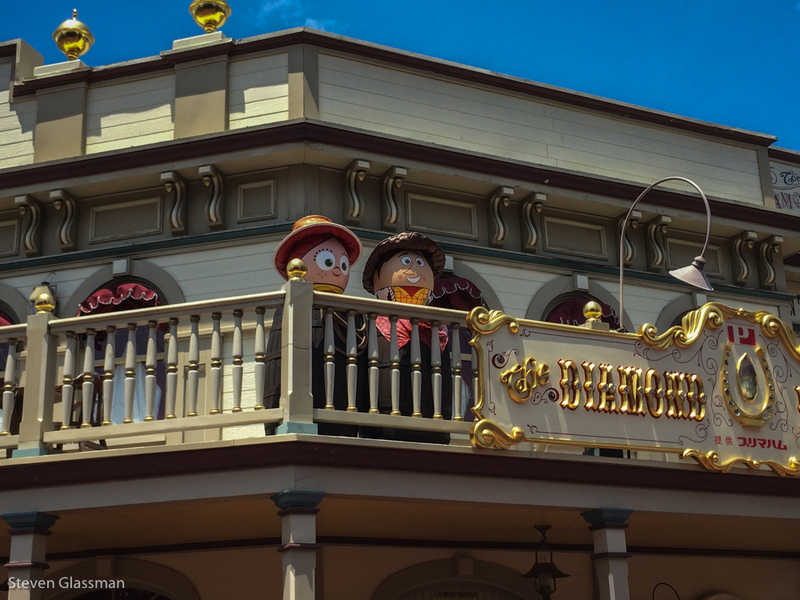 More egged characters, around the corner from the Country Bear Jamboree. The Jamboree was also translated (mostly) to Japanese. This was a fascinating experience. The signs within the park weren’t very helpful for navigation, but the breaks between sections were quite clear. The ground was also painted a different color in each section, which helped me find my way quite a bit. Haunted Mansion wasn’t any different in Japan than it is in Florida, and Pirates of the Caribbean was still Pirates of the Caribbean. 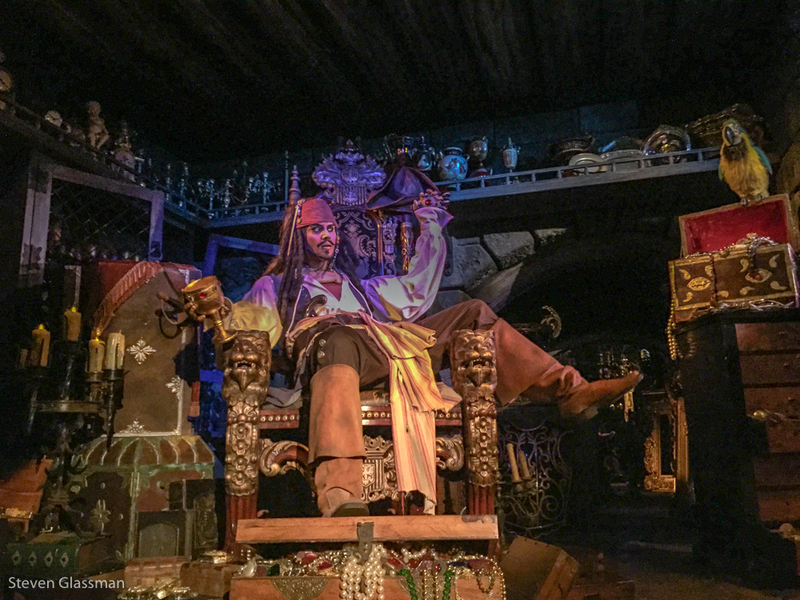 Lots of Jack has been added since the last time I went on the Florida version, but I’m told that the Orlando version has the same Jack stuff added in now. 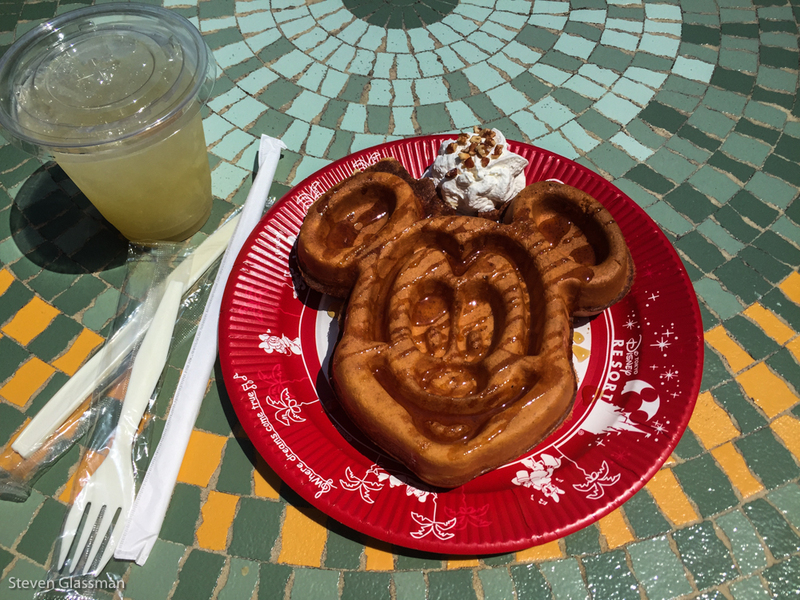 For lunch, I shall have a waffle and some lemonade! I wasn’t in the mood to wait for anything else. Pooh’s Hunny Hunt is different than anything that exists in the Florida parks as far as I know. 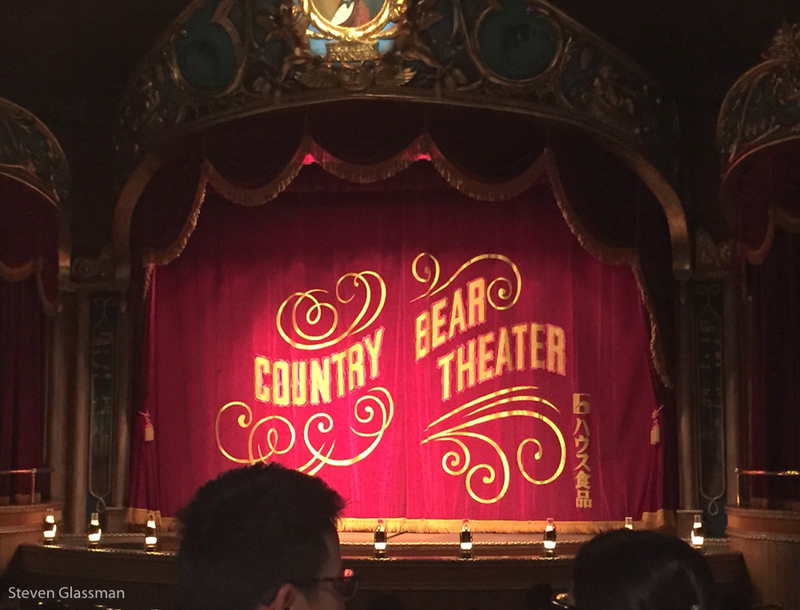 It’s definitely different than the Florida Pooh ride, which is basically just a retooling of Mr. Toad’s Wild Ride. 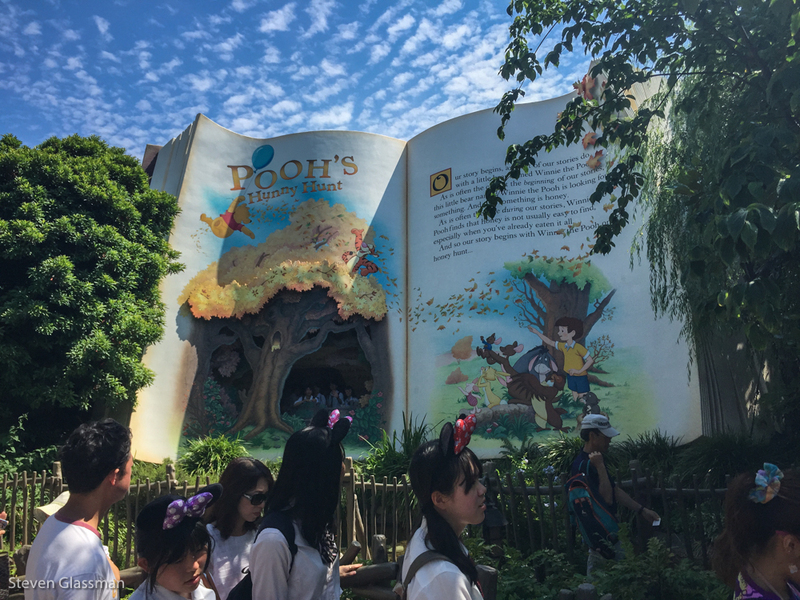 The Pooh ride uses a trackless ride technology that I haven’t seen in any of the Florida Disney parks. Trackless rides are able to cross over existing paths, reverse, and rotate on the spot. This makes for a really fun ride experience. In this ride, you sit in a giant Hunny Pot, and zip around. When Tigger dances, the entire room bounces. It’s pretty fantastic. YouTube has some videos that people have filmed going through this ride, if you’re curious. 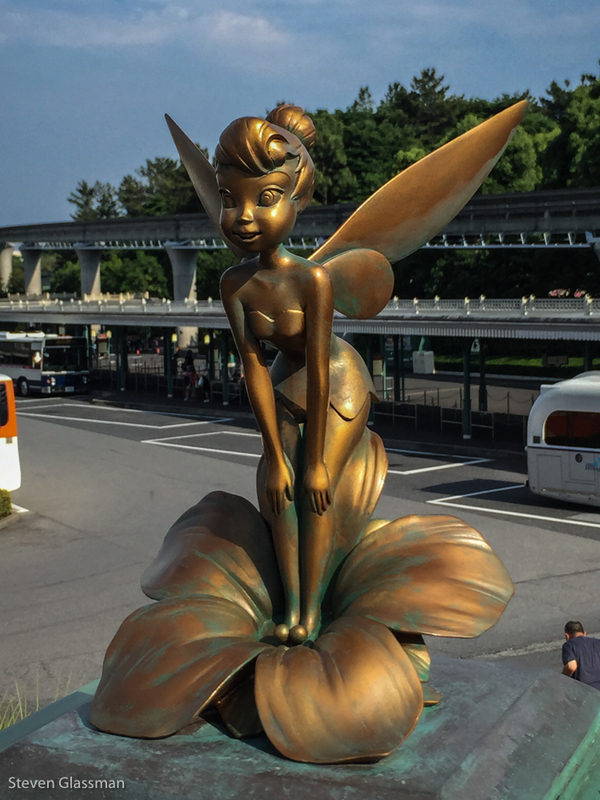 On the walkway bridge that separates the parks from transportation are a variety of small sculptures. Here’s Tinkerbell. 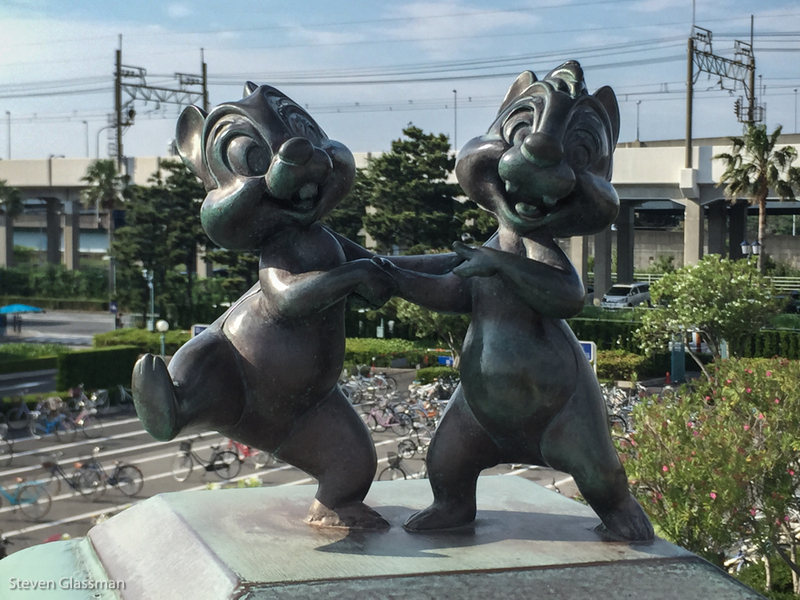 Chip and Dale dance in front of a bicycle parking lot.